We were so blessed to see it! An amazing sight Vivian. There’s something about these trees makes them very special. Hi Vivian, a lovely sight to see! The desert has it’s beauty. I did not see it that way while growing up in Palm Springs. To me it was just hot, but I do believe I appreciated the Mesquite trees.. Enjoy! This bloom defines beauty in simplicity! It is a desperate cry to us, to stop inducing climatic changes so rapidly. I do hope they survive the drought. You were indeed lucky to have seen the tree in bloom! Thank you for sharing it with us. Spring in the desert is magical. 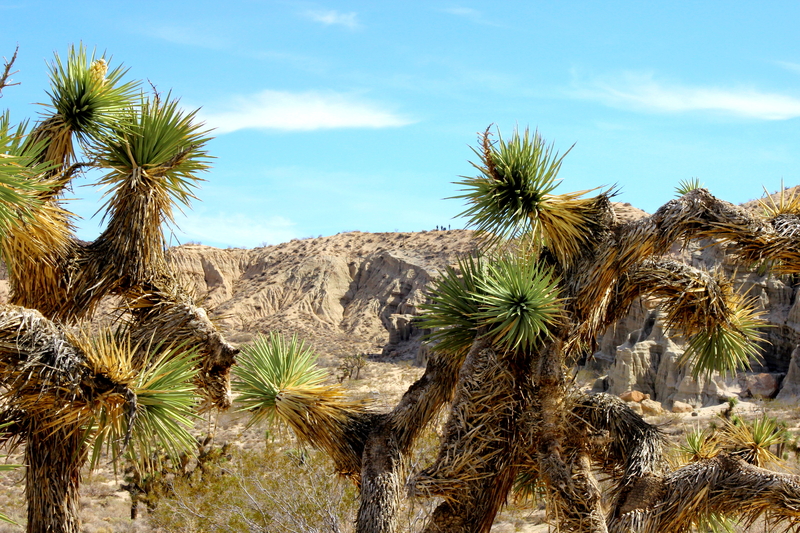 Joshua Trees are so mysterious. The blooms are gorgeous. It’s sad to think that they might be a call for help. Hi Julie, I often think of you in relation to the Mojave. Spring is indeed magical in the desert. 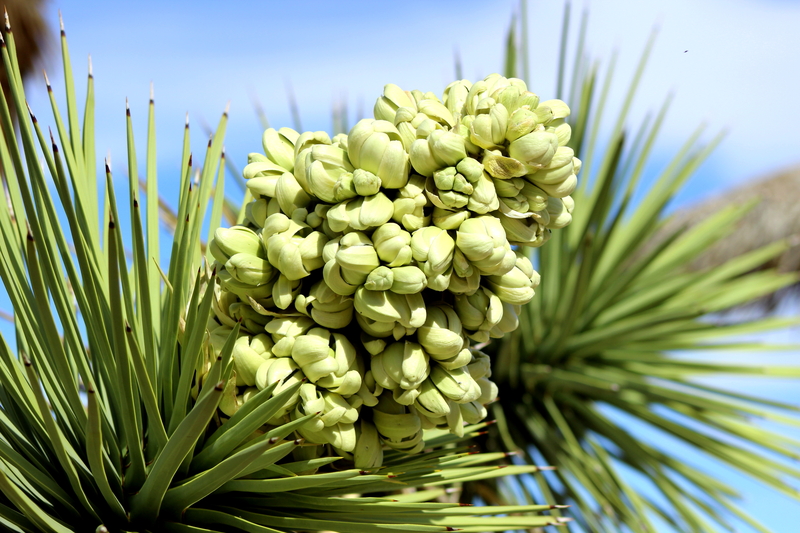 I was unaware of the Joshua’s plight while in the Mojave–I learned of it during my post-travel research, which I always enjoy. I just wish that, in this case, the results of that research were a little prettier. What a beautiful flower! Hope the drought will reverse. This plant is very very exotic to me ! At the complete opposite of where I live. I have never been in a desert and to me it looks like another planet. I hope someday I can go to your so beautiful part of the world Vivian and admire the beautiful Joshua blooms. You are such a dear nocturnal friend! It was a precious experience. Write and tell me how you are doing! Thank you for visiting! We’re headed to the Black Rock Desert tomorrow. Until next time, happy trails! “Happy Trails” Ah, that was one of my dad’s favourite sayings!! Thank you! Thank you Eddie! I too was saddened to learn of this news.